An elderly man remains in hospital after a single vehicle crash north of Coffs Harbour. 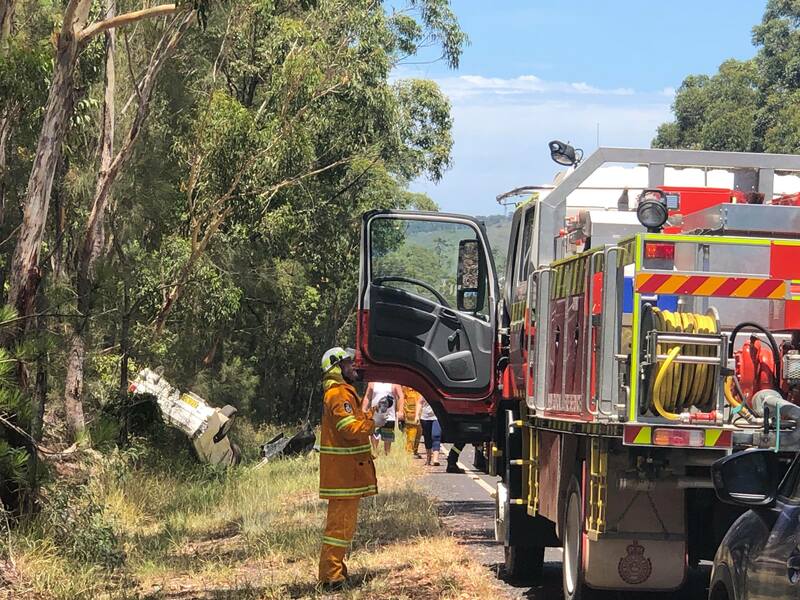 It’s understood the man, driving a Holden Commodore utility, was heading north on Solitary Islands Way near Mullaway when he crossed to the wrong side of the road, before crashing into the embankment, rolling several times. The vehicle’s canopy separated from tray from the force of the impact. The man was trapped for around half an hour, before he was freed by emergency services and taken to hospital.